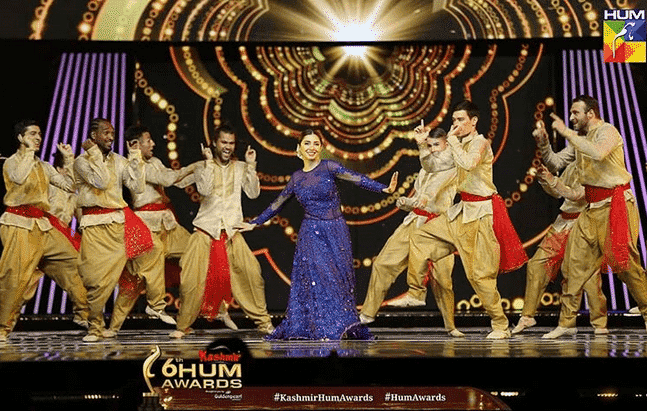 Annual Hum Awards 2018 – Hum Network Limited is a media company based in Karachi, Pakistan. The company was established in February 2004. The network produces TV channels, the most notable and widely recognized of which is HUM TV, magazines, award shows and now, films. The key people behind the company are Sultana Siddiqui, Mazhar-ul-Haq Siddiqui, Duraid Qureshi and Momina Duraid. Hum TV is a 24-hour entertainment channel that was launched 13 years ago on 17th of January, 2005 by Sultana Siddiqui and Duraid Qureshi. Hum TV drama serials and soaps are primarily produced by either Momina Duraid Productions or Mooomal Entertainment. Since it’s inception, the channel has produced a number of hit television shows which have garnered international recognition like Humsafar. 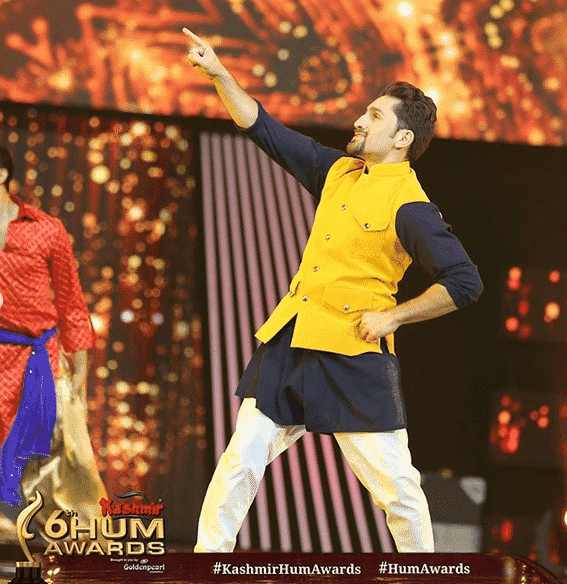 The Hum Award is an accolade bestowed upon excellence in television programming exclusively to shows produced by Hum Television, as well as to the film, fashion and music industry of Pakistan in general. The award is a golden statue in the form of the Urdu word for ‘Hum’. The awards were announced by Sultana Siddiqui in late 2012 and were first presented in 2013 in Karachi Expo Center. 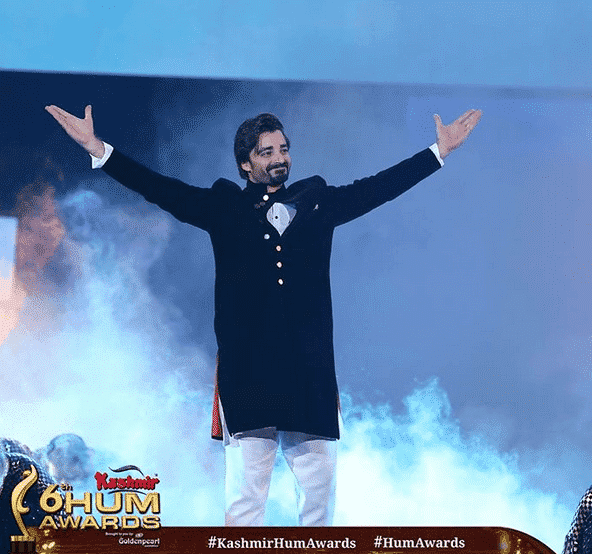 The awards are an official ceremony of the Hum TV and has more than a dozen categories. 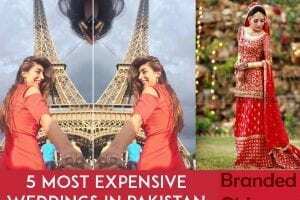 RECOMMENDED: Top 10 Pakistani Female Models 2018 Updated List. So public voting is open for the viewer’s choice awards and the highest number of votes determines the winners in that category. The award ceremony is recorded, aired on television about a month after it takes place. There is a pre-show as well. One that is recorded half an hour before the ceremony on the Red Carpet and the other that documents the making and rehearsals. The earlier couple of ceremonies were held at the Expo Center in Karachi and Lahore. The ceremonies have also been held abroad, in Dubai and the most recent one in Toronto, Canada. 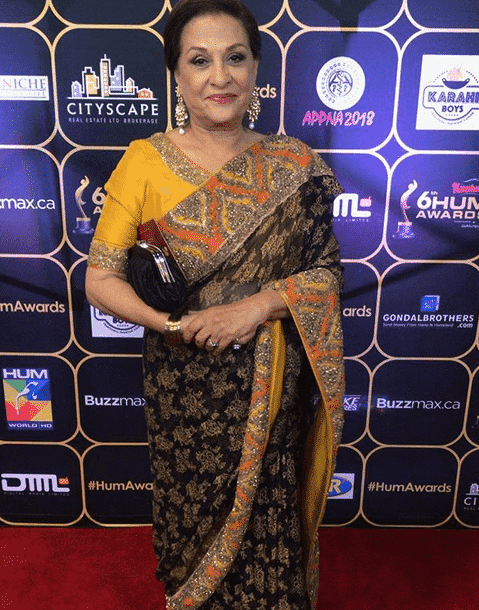 The 6th Annual Hum Awards were held on the 28th of July, 2018 at the FirstOntario Centre in Bay Street, Hamilton, Ontario, Toronto, Canada. Most of the major celebrities left Pakistan a week prior to the ceremony. However, since the Pakistan General Elections 2018 took place on the 25th of July, Hum Network came under heavy scrutiny for still proceeding with the ceremony to take place and thus allowing a major chunk of celebrities to leave the country without casting their votes. The celebrities came under the cross-fire as well, from public as well as their peers who decided to stay or came back for the voting. The scandal caused a stir among the masses and Hum TV was criticized for not canceling the show at such a crucial time in Pakistan’s politics. Also have a look at these Pakistani Celebrities Snapchat Accounts to Follow. Never seen such an overwhelming response of voters before . I witnessed people and senior citizens on wheel chairs, disabled with crutches and youth with a spark of hope in their eyes to see a bright new morning . I am proud of my nation who despite all the threats came out of it's comfort zone and showed it's power and strength. 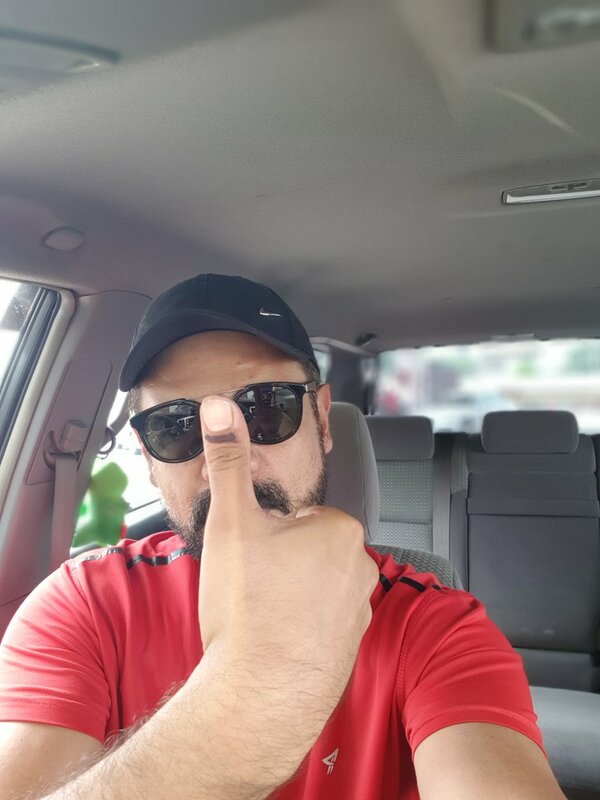 I am also glad of my media friends who casted their votes (knowing that elections happen once in 5 years and how crucial this General Election 2018 was). Since every single celebrity is an influencer who is followed by millions and people get influenced by every single move they make and every single word they deliver.Thats why I always reiterate that we are many times more responsible and should really be careful before making any move and uttering any nonsense. Love you Pakistan!❤ Love you my media industry! He posted on Instagram before and after voting on the 25th of July. His post indicates that he flew from somewhere to Lahore in order to vote. 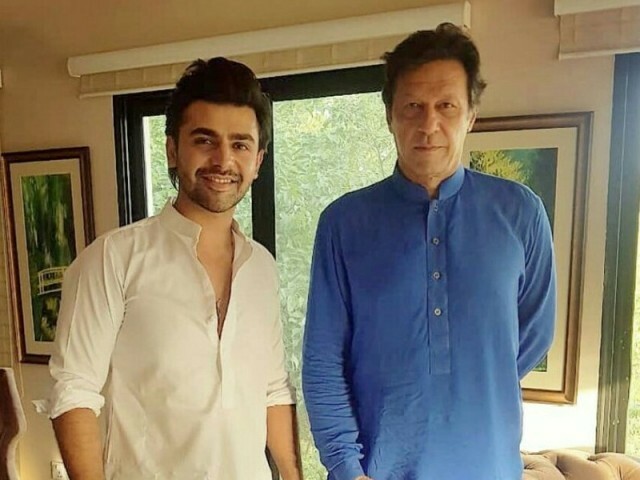 Another prominent singer Bilal Khan of “Bachana” fame posted the same message on both Twitter and Instagram stating that he flew back from Toronto in order to cast his vote. 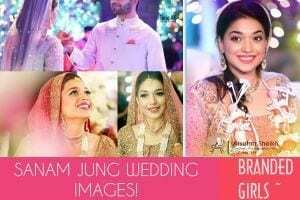 While other celebrities like Samina Peerzada and Iqra Aziz left for the show after the voting had taken place. 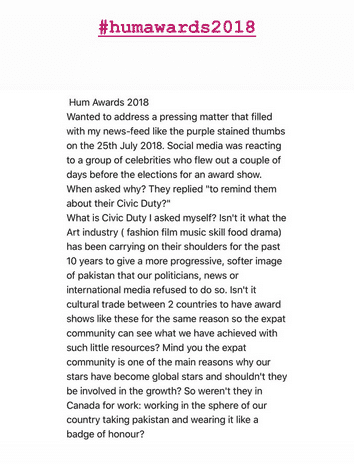 In response to the backlash received by the public and celebrities alike, Yasir Hussain, Saheefa Jabbar Khattak and Feeha Jamshed spoke out while the Hum Network released their official stance on the matter. Yasir Hussain posted a long caption in Roman Urdu. He defended the stars who went ahead to Canada for rehearsals clarifying that those people were also doing their duty as they were fulfilling a contract they all had made. Do check out these Pakistani Actresses without Makeup-Shocking Photos of Actresses with No Makeup. “We work hard to entertain you all. 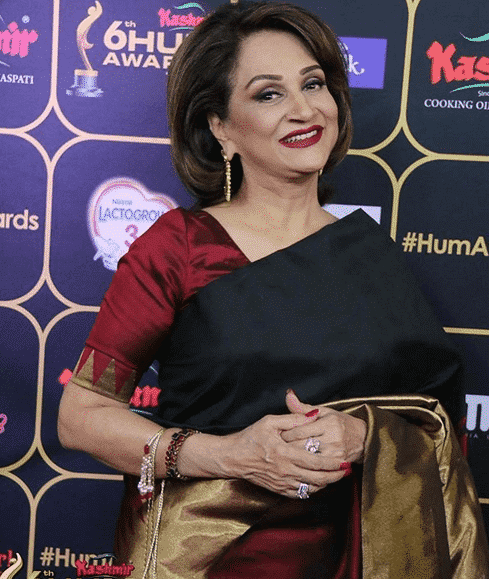 Why do we demean legends like Atif Aslam and Bushra Ansari within seconds? Why have we started considering pouncing upon Mahira Khan’s every move our civic duty? He chided the public for this lack of respect. “Can’t I miss one year’s voting like a normal person? Can’t I see my commitment through? Why do you 18-30 year olds debase celebrities older than you? Are you only taught about voting in your homes, are you not taught about respect? Model Saheefa Jabbar Khattak posted three times expressing her disappointment and coming to her colleagues’ defense. He captions were posted all with blank white images. As i scrolled through my SM feeds today, i noticed people shaming my fellow colleagues (who have flown to Canada for the Awards) as they won’t be casting their votes. 1. Election dates were announced in end May and our plans with respect to dates were almost confirmed in April. 2. This also means that preparations for the awards started before April. 3. Appreciate the fact that our industry is going global. 4. All the artists can afford to go to Canada on their own instead of finding an excuse for having a leisure trip. 5. Everyone has a right to choose what their priority is. 6. This does not prove that someone is less patriotic than YOU. 7. Be a PAKISTANI everyday, 365 days a year! 8. Instead of appreciating the fact that they are going international, stop degarding them infront of everyone else giving an impression that they care less about Pakistan. 9. Open your arms and your hearts to accept that people can be busy. 10. Step out and exercise your right to vote. 12. Hope, pray and play your part for a better a tomorrow and a better PAKISTAN for everyone. Hum TV released an official statement regarding the matter, justifying their stance after people were clamoring for the network’s boycott. Hum Network has always been very proud of being Pakistan’s most credible entertainment broadcast network. 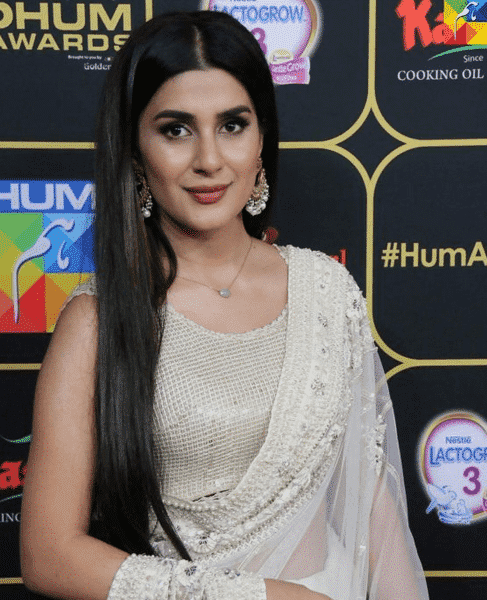 Ever since its launch Hum Network has been a beacon of Pakistani dramas and format shows in all parts of the world (wherever there is Pakistani diaspora). Over the years HUM NETWORK has become a global Pakistani brand portraying a POSITIVE & SOFT image of our country. 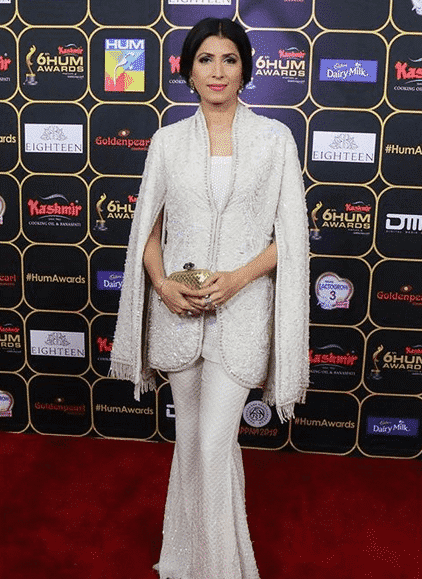 The date for 6th HUMAWARDS was decided months in advance to the announcement of election date. An event of this magnitude requires a lot of planning and preparation. Also, since a lot of resources have to be committed for the event and contractual commitments with international sponsors are made in advance it is not possible to change the date. It is worth mentioning here that most of the Artists participating in the Awards have cast their votes today and then left for the Awards. However, some had to leave earlier as they were required for rehearsals. It was a matter of prior commitment for them also. Imran Abbas later took to Instagram to clarify that his comments were taken out of context. 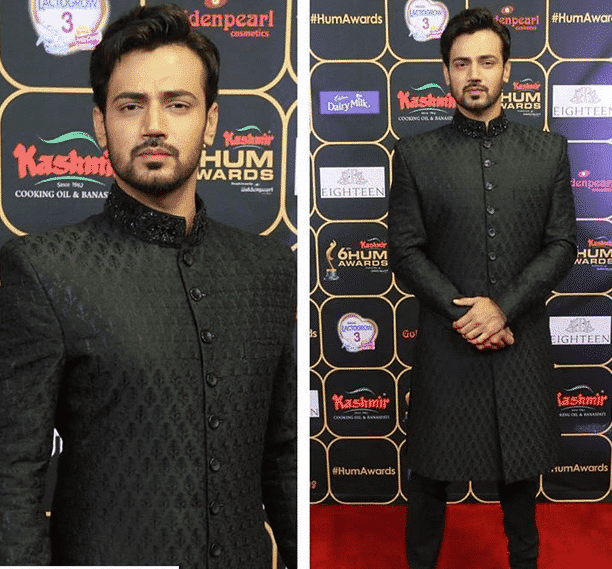 His only intention was to stress the importance of this national event and that he whole-heartedly supported Hum and it’s contributions towards Pakistani media. 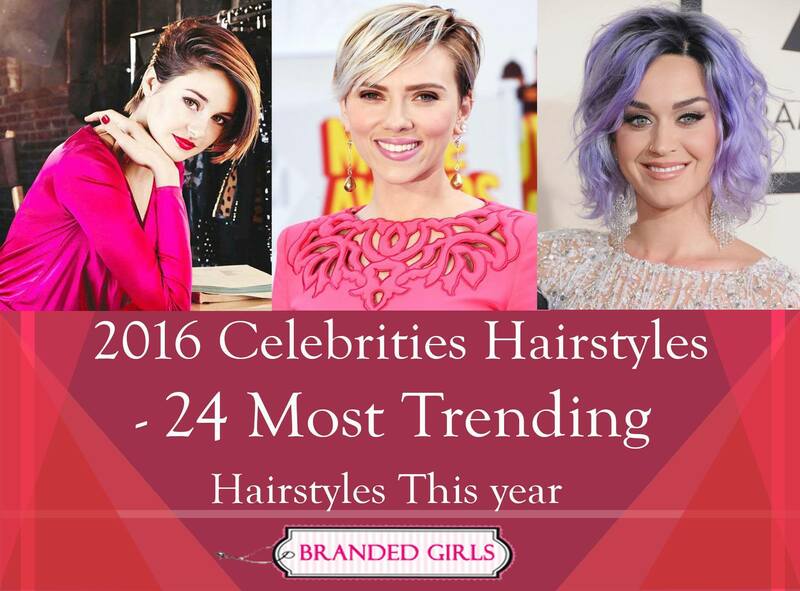 This year a slew of celebrities attended the show and despite the controversies, they gave the show their full effort. The petite actress was a sight to behold in this lovely dress. 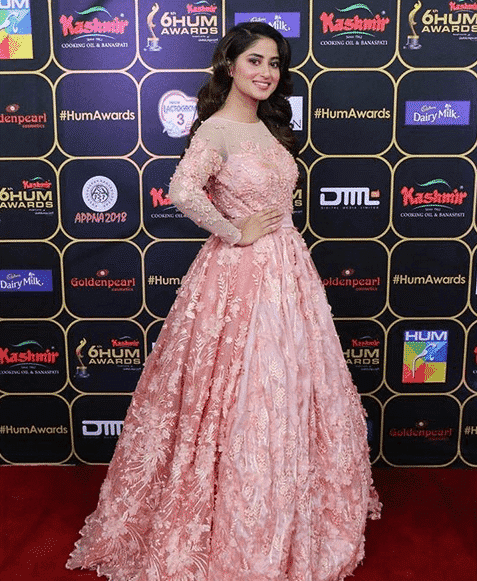 The Suno Chanda actress wore this lovely Sana Safinaz tea pink gown for the event. She chose this gorgeous peacock saree for the event. Ainy Jaffri’s monochrome dress with gold accents was a vision. 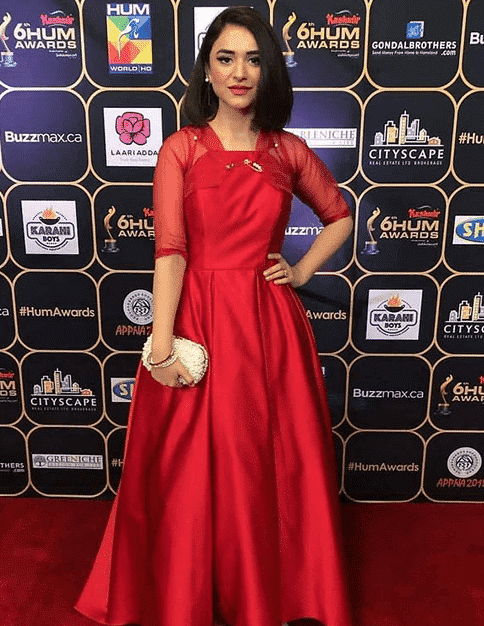 Yumna Zaidi was cute as a button in this red number. The starlet wore this beautiful pink dress. No one can pull off a fashion forward look like this beauty. 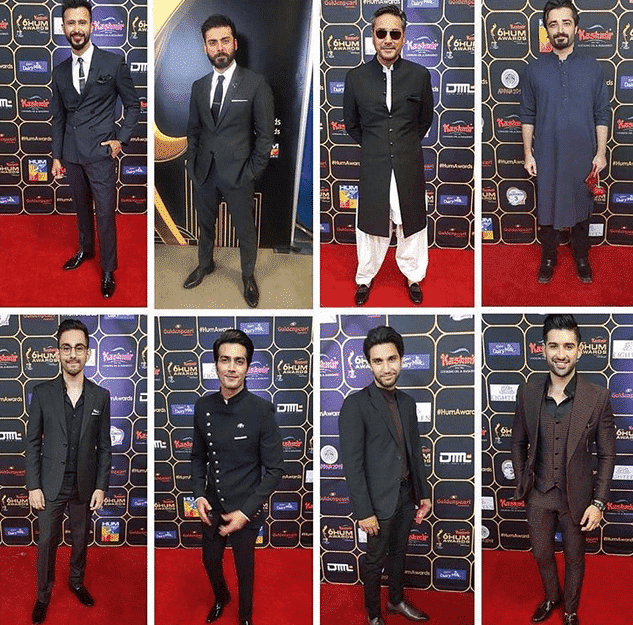 Fawad Khan, Ahad Raza Mir, Adnan Siddiqui, Hamza Ali Abbassi and various others looked dapper in their western and traditional clothing. The most favorite actress of the nation chose a traditional dress for the occasion. This midnight blue dress looks splendid on her. Perhaps the loveliest of all the ensembles on the red carpet was this cute pink dress fit for a princess. The supermodel stood tall in this white outfit. 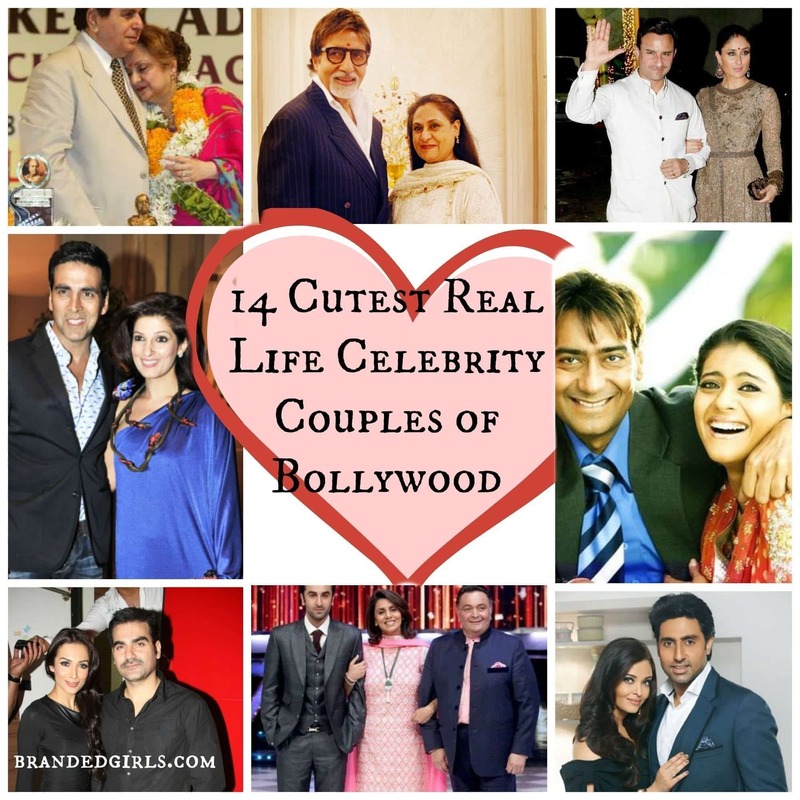 The versatile actor looked amazing with his stylish wife. 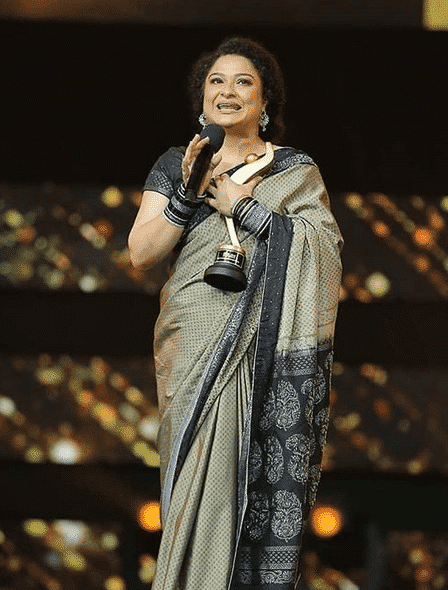 The veteran actress and winner of the night wore this elegant saree. 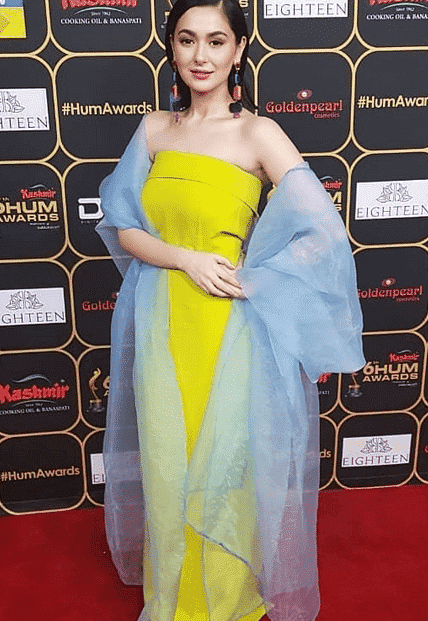 Kubra Khan looked ethereal in this saree. The star wore this form fitting dress which hugged her curves. 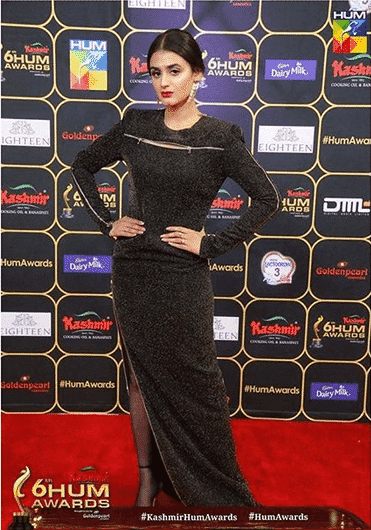 We’re not sure about this maxi dress but Hira Mani sure has gotten the pose game down. The couple opted for all black matching outfits. The legend never fails to make an impact. 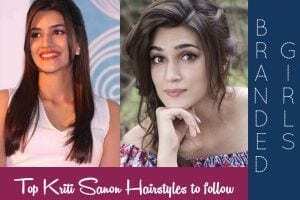 The beloved actress who recently entertained audiences in Suno Chanda dazzled in a saree. 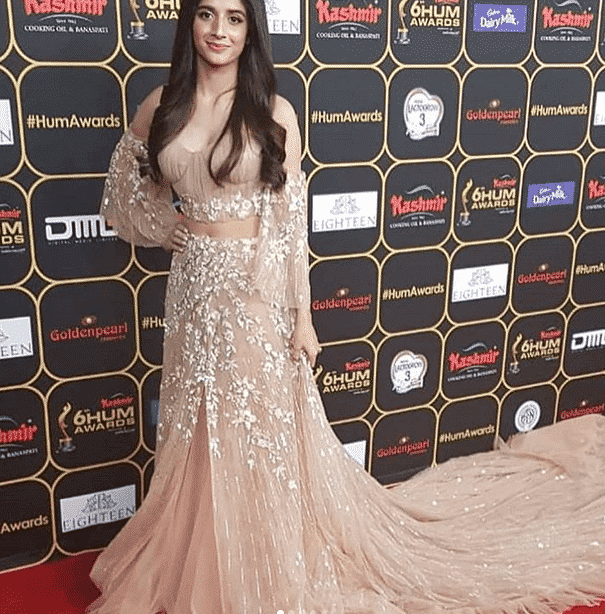 The event was well choreographed with performances by Kubra Khan, Humayun Saeed, Hareem Farooq, Meekal Zulfiqar, Mahira Khan, Ahad Raza Mir, Shaz Ali Khan, Hania Amir and Atif Aslam. 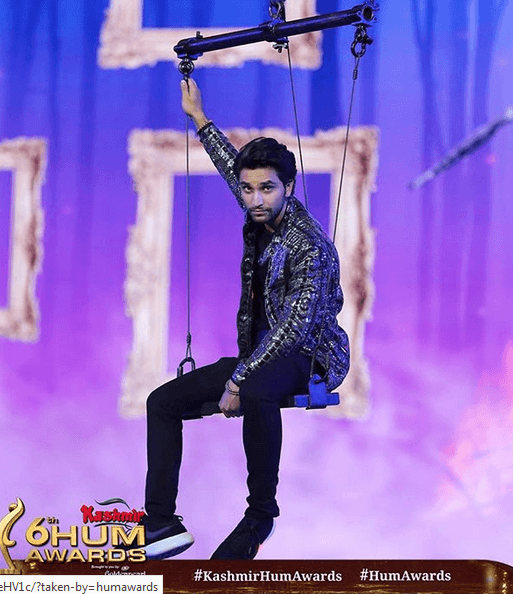 The Jawani Phir Naheen Aani 2 couple performs at Hum Awards 2018. 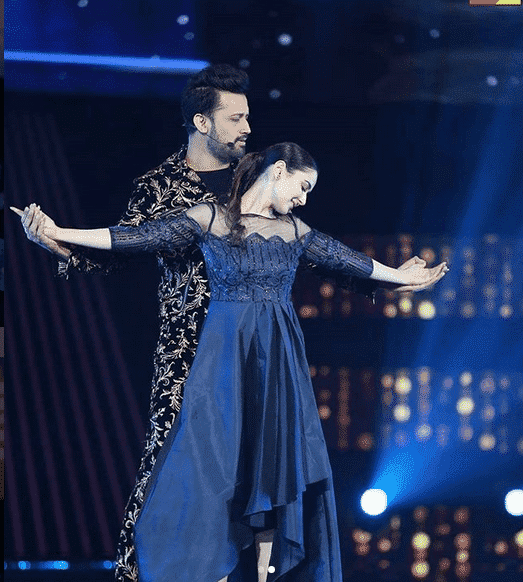 Atif Aslam and Hania Amir perform together. The queen of Pakistani cinema, Mahira Khan dazzles on stage. 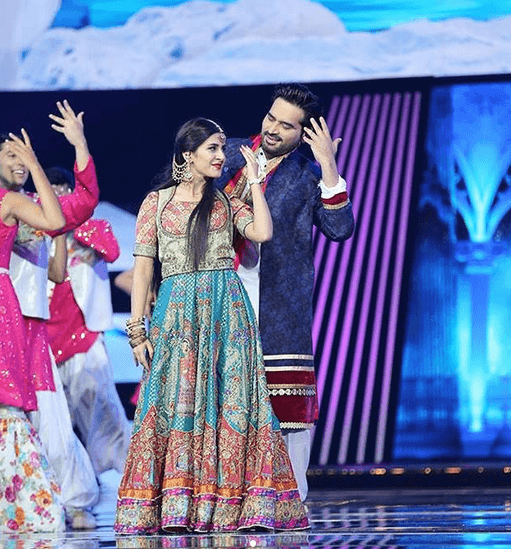 The cast of Parwaz Hai Junoon, Hamza Ali Abbasi, Ahad Raza Mir, Hania Amir, Kubra Khan and Shaz Ali Khan entertain the audiences. Yaqeen Ka Safar, the hit show of past year, won big this year taking all of the awards it was nominated in.